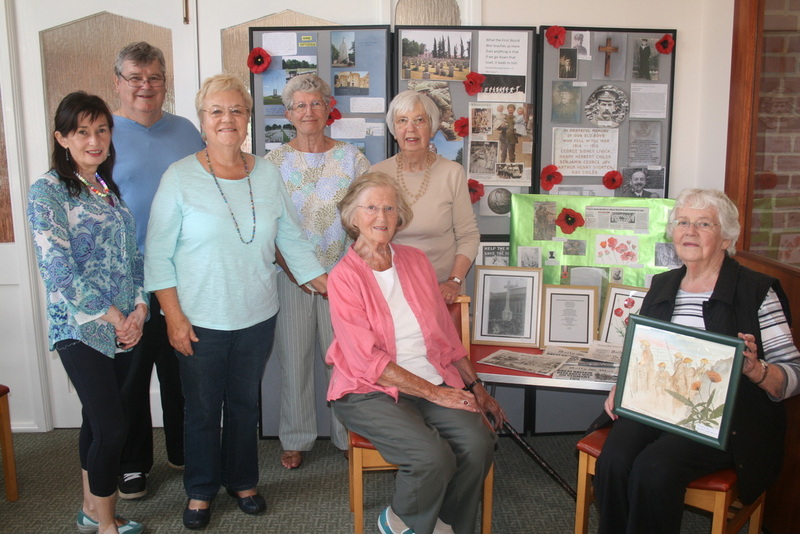 A Hethersett art and craft group is helping to keep memories of the Great War alive by producing a display of paintings, photographs and memorabilia. Hethersett Methodist Art and Craft Group meets on Wednesday mornings and includes some keen historians amongst its members. That made it a logical step to help commemorate the centenary of the start of the First World War with a display featuring facsimile newspapers, original art work, posters, crafted poppies, poetry and photographs. “We wanted to commemorate the war in some shape or form and an obvious way was to use our skills,” said one of the group organisers and instructor Tina Greenhalgh. She was joined by Bea Ewett and Brenda Parfitt in organising the display which has been up in the Methodist Church for a number of weeks and can be viewed during times that the church is open until the end of the month.. Meanwhile the village has also marked the centenary of the start of the war by having the War Memorial in the grounds of St Remigius Church cleaned and spruced up. The name of Ray Childs has also been added to the other 17 names featured from the Great War. Ray was severely gassed during active service in France in 1918 and died back in Hethersett after the war in 1920. Hethersett Parish Council felt the time appropriate to add his name as one of the fallen of the conflict. To see more of what is happening in the village in 2014 visit the Hethersett Web site by clicking here.